ready or not.. i’m officially registered!! 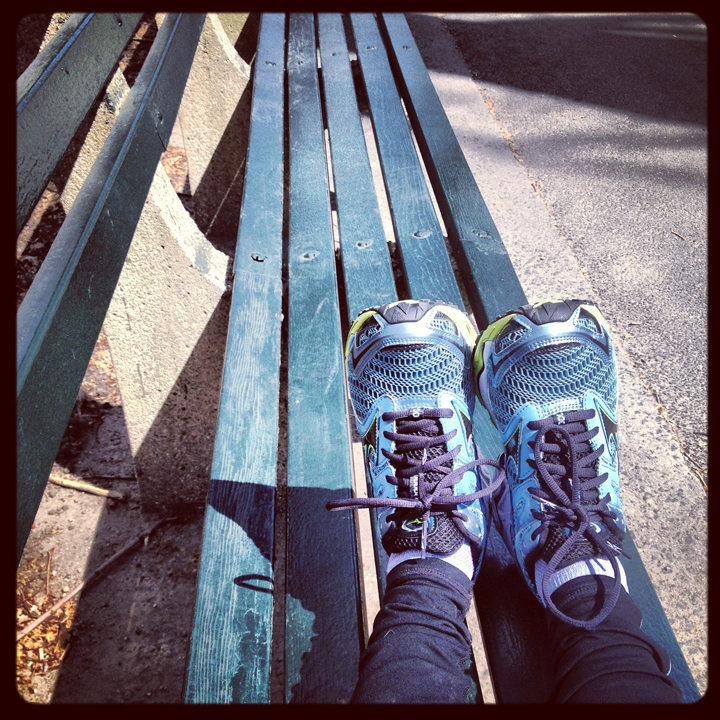 My running season has just begun, and it’s going to be an epic year. I ran my first race of 2013 yesterday – the Scotland 10K in Central Park – not being completely up to speed (my last race was in November) – I didn’t expect it to go very well. But to my surprise, I had a PR – granted only a 10 second PR on my 10K time – but still.. I feel like it’s a good start. I have a handful of races on the books – and all of this is leading up to running my first marathon in the fall – the NYC Marathon. I’m excited, scared, nervous. I’ve never run the distance, but ready for the challenge. To help me along the journey – I finally joined a running group/team after almost 3 years of running. 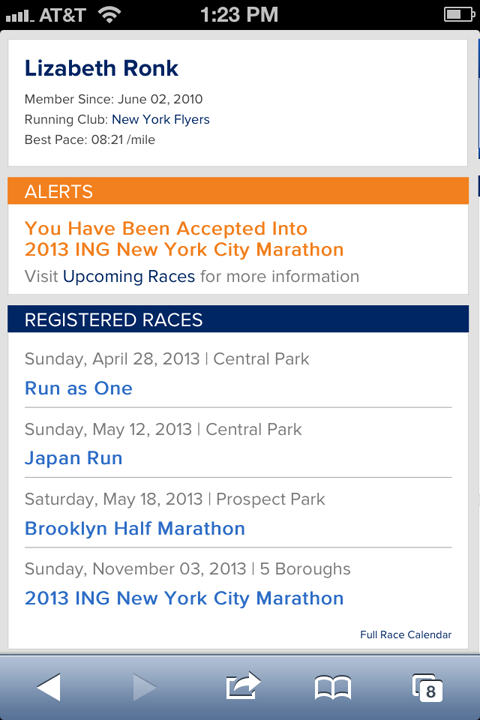 I’m counting on the NY Flyers to guide me through my marathon journey. I’ll be using this blog to document my progress – race to race, mile to mile.